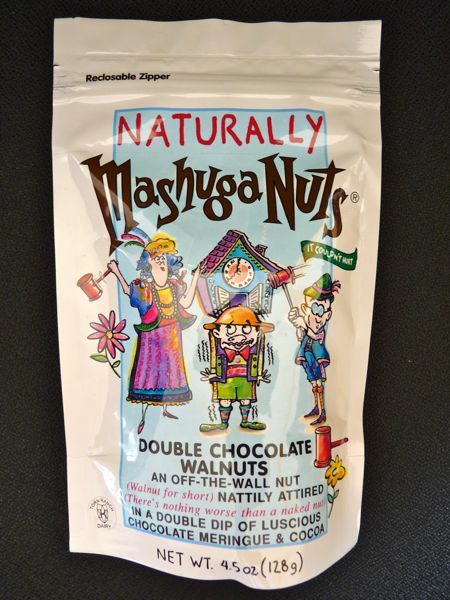 Half the fun of this Mashuga Nuts product was reading all the clever text on the pouch. (For example: "Warning: Do not use in libraries or places of worship." or "So good you probably don't even deserve it.") Someone had fun with designing this package. 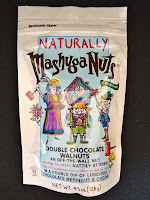 The Double Chocolate Walnuts flavor was one of at least four different flavors from the Mashuga Nuts line, offered by Torn Ranch (Novato, CA). 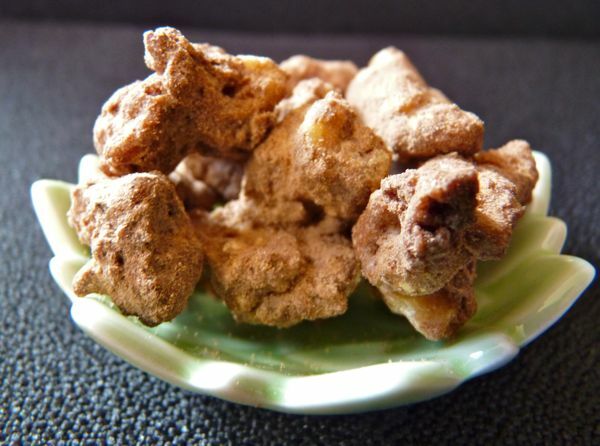 These Mashuga Nut walnut pieces were covered with a layer of egg whites and cocoa powder -- a light, sweet meringue coating. I'd forgotten how the most basic combination of chocolate and walnuts evokes the taste of brownies. And, in fact, this package reads: "The best of the brownie without the rest of the brownie." Today was Day #2 of Chocolate and Walnuts Theme Week.